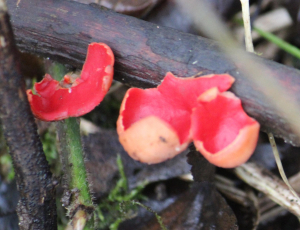 Observation - Elf cap Fungus - UK and Ireland. Description: Red fungal fruiting body with off white underside. Red fungal fruiting body with off white underside.